Patrik JG Henriksson is a postdoctoral researcher at the Stockholm Resilience Centre. Since 2014, Patrik has been a consultant to WorldFish on aquaculture development and life cycle assessment-related impacts. He holds a PhD from the Department of Industrial Ecology, Leiden University, Netherlands, and a master’s degree in marine ecotoxicology/biology. A Bangladeshi family eating their lunch together, with dishes made from homegrown mola. 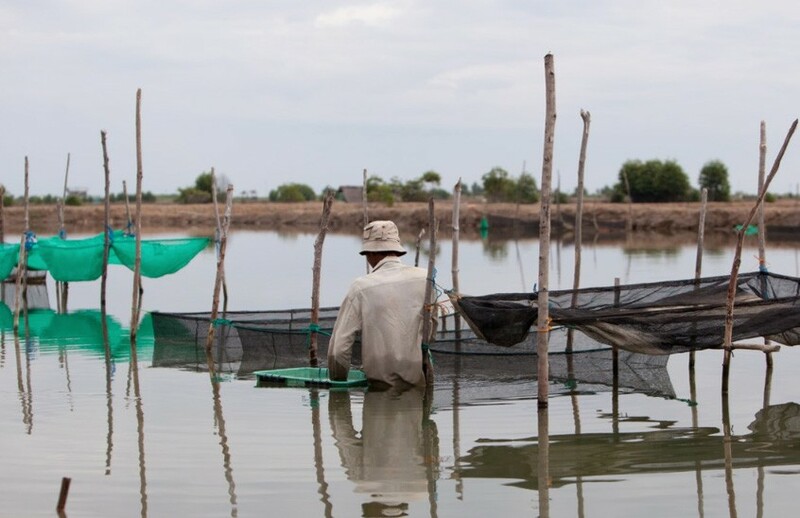 Today, efforts are needed to improve global food systems to boost human health and better protect the environment—and improvements in fisheries and aquaculture systems, particularly in developing countries, will be critical to this. Grouper farming in Aceh, Indonesia. Photo by Mike Lusmore, 2012. Aquaculture, the farming of aquatic animals and plants, is the fastest-growing food-production sector in the world. Today, this source provides half of all fish for human consumption (FAO 2016).